In this day and age, it’s easy to feel like digital advertisements are taking over marketing. However, direct mail has survived against all odds in a mostly digital world. Figures from the Data & Marketing Association revealed that in 2016 direct response rate increased by 43% while overall prospect response rate increased by 190% compared to 2015. Many marketers are still in the dark, but the data doesn’t lie. Check out these 8 reasons why direct mail is still relevant in 2019. That’s right, direct mail has one of the higher ROI’s in the marketing sphere. According to the Data & Marketing Association, direct mail has a median ROI of around 29%, coming in third place behind email and social media marketing (and it’s only one percent below social media marketing). This doesn’t seem like a very high number, but when you compare it to paid search (23%) and online display (16%) the results are more favorable. 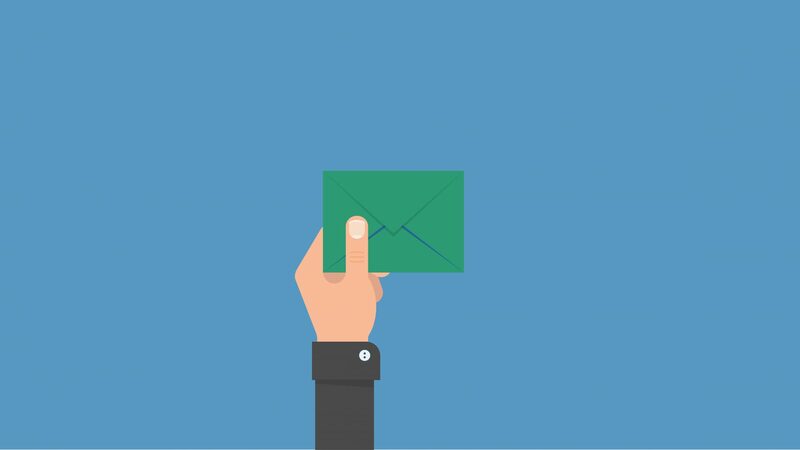 Email marketing comes in first when it comes to ROI, however, when it comes to response rates, direct mail is crowned champion. Per the Data & Marketing Association, direct mail has an average response rate of around 5.3% to houses and a 2.9% rate when it comes to prospect lists. In comparison, email marketing has a click-through rate of about 2-3% and a measly response rate of about 0.6%. Even in a digital world, direct mail is still a top contender in the marketing response. It has been proven time and time again that omnichannel campaigns are more successful than single-channel campaigns. Recent research from Brand Science concluded that campaigns featuring direct mail had a 12% bigger ROI than those that didn’t. Here at LeadJig, we recommend our clients choose an omnichannel approach featuring direct mail, digital ads, and e-mail blasts. Optimizing both traditional and digital channels play a critical role in obtaining superior response rates. When it comes to digital, audience targeting can be challenging. Targeting your audience via direct mail is a less intruding and more accurate targeting method. Our marketing experts work directly with you to establish a target audience based on characteristics like the geographic scope of the campaign, age, asset data, and drive time. These results cannot be replicated with the same accuracy for digital marketing. Tangible marketing tools like direct mail are more likely to be kept and looked at longer. According to the Data & Marketing Association, the average lifespan of direct mail in a household is around 38 days. The same study also concluded that 66% of people kept pieces they found useful, and this figure rose to 72% if it related to the financial or tourism markets. When you compared to digital, the Data & Marketing Association found that the 51% of emails were deleted within 2 seconds of receipt. When it comes to the direct mail, the possibilities are endless in terms of design. You aren’t limited by the simplicity of a digital advertisement. Direct mail is all about standing out, and the design process can be enjoyable and exciting. Here at LeadJig, we have several pre-made templates available for your use, or one of our in-house graphic designers can work with you directly to make your ideas come to life. Building brand awareness is another added bonus of direct mail. Not only are you promoting your event, sale, or new product; it also can be utilized to build knowledge on your brand. As discussed before, direct mail is tangible, meaning it often sticks around the household. Per the Data & Marketing Association, 60% of people felt that direct mail keeps brands higher in their mind (especially if it is relevant to them). Consistent mailings will keep your logo, brand name, and services imprinted in potential clients heads. And one day, if they need your services, they’ll know who to go to. There is a common misconception throughout the marketing world that direct mail is dead (hopefully you feel otherwise after reading this blog post). This common misconception has lead to a dramatic reduction in the amount of direct mail being sent and an increase in the number of digital advertisements being posted. This decrease in mailings makes it easier now than ever to stand out amongst competitors. Mailboxes aren’t flooded with thousands of marketing messages like the internet is. There’s no doubt direct mail is alive and kicking. In fact, when you think about it, the rise of digital marketing has only increased the ROI associated with direct mail. Consider adding direct mail to your next advertising campaign if you haven’t already, the data proves it’s worth it. Brooklyn is a 21-year old student currently residing in Saint Petersburg, Florida. Majoring in advertising as well as graphic design at the University of Tampa, she joined the TouchFuse family in July of 2018 as a marketing intern.